The ultimate goal of any R&D project is to create something so successful and efficient that it blows its competition out of the water – and cost effectively of course! No one understands this more than our AGGAT team, who uses a pathway of optimisation as a means of achieving this for our members involved in our program – which in the case of our ORC operating conditions looks at how we can better enhance the heat exchanger (evaporator and condenser). During our research, we’ve found a considerable increase in the thermal duty (kW) can be obtained if the workable zone is determined more effectively – requiring us to be able to accurately predict the performance of the evaporator and the condenser so we’re able to examine the impact of different operating conditions to select the best option. From the predicted results of mass flowrates, temperatures, percentage of evaporation/condensation (vapour quality) the optimum operating conditions or workable zone can be determined according to the limitations of the system (Figure 1 & 2). At an operating pressure, the difference between the saturated temperature and temperature of the heat source/heat sink is the driving force for heat transfer – so understanding when optimum thermal duty can be obtained when operating at maximum driving force is significant if we’re striving for efficiency. Looking at our analyses, we’ve seen that performance such as refrigerant condensation increases with an increase in applied pressure (Fig. 3) which means we’re able to increase/decrease refrigerant mass flowrate and the output temperatures according to the requirements of the system under study. 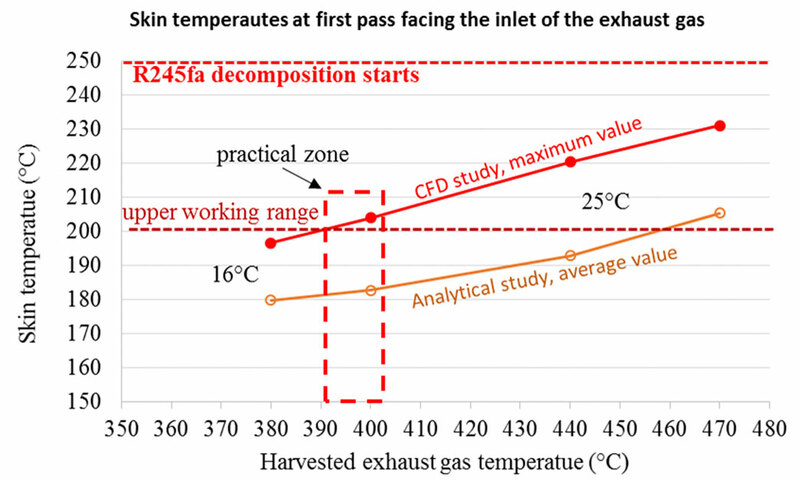 Figure 1: Maximum skin temperature results with a range of harvested exhaust gas inlet temperatures predicted in two studies both analytically and computationally. 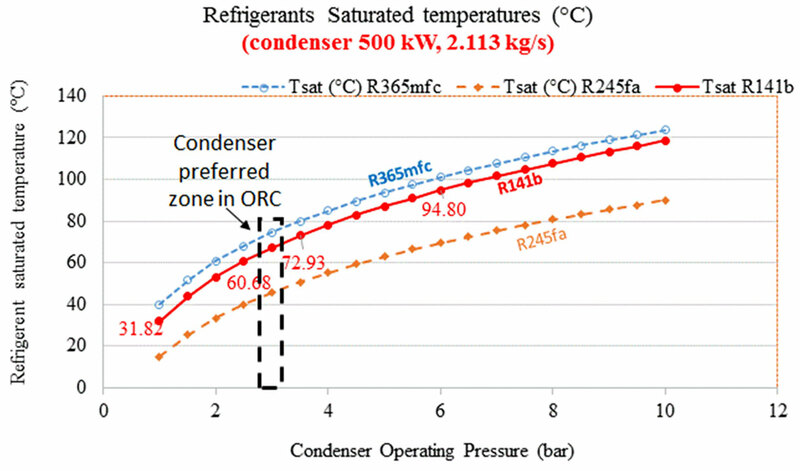 Figure 2: Saturated temperature at different operating pressures for three different refrigerants where a recommended workable zone was proposed for the condenser in ORC engine based on pressure constraint of the turbine. Figure 3: Vapour quality (fraction) results at different operating pressure at a reference design of highly finned tube condensor showing an increase in refrigerant R245fa condensation with an increase in the applied pressure. We believe any design has the potential for optimization and innovation which is why predicted results are critical in detecting regions of low performance that have the promise for enhancement (Fig. 4). By improving overall performance and preventing the development of regions associated with risk of overheating and refrigerant decomposition (Fig. 5) we can reduce risk of failure and at the same time increase thermal duty. Figure 4: Velocity vector results showing the distribution of air around the tubes at two reference designs. Figure 5: Skin temperature at the refrigerant R245fa side showing the risk of overheating (left) which was effectively solved (right) when we implemented a unique improvement inside the tubes. Seeing inefficiencies in an operating system and better understanding how we can fix or enhance performance continues to be one of our key motivations. Throughout this programme, we’ve conducted in depth thermal examinations – consistently looking for ways to manipulate the heat exchanger model and its thermal duty (kW) outputs and size reductions to reduce cost (Fig. 6). We’ve found every system has constraints that must be taken into account when specifying the workable zone – and our job is to investigate these available constraints to see how they can be optimised. Figure 6: Our goal in the design process of heat exchangers. For information on our heat exchanger optimisation work please contact our Research Engineer Dr. Haiam Abbas.